All mattresses, including memory foam mattresses, need to be protected with some type of mattress cover, also known as a mattress protector. This cover goes between the mattress and the sheets and protects the mattress from sweat, dirt, etc. For our purposes, we will call this protective barrier a “mattress protector.” You will also see it called a variety of other names, but the basic purpose is to protect the mattress so you are not putting your sheets directly on a bare mattress. Mattress protectors come in a variety of types and designs. Some completely enclose the mattress and have a zipper. Although these protect every square inch of the mattress, there are difficult to get on and off to launder. They are popular with those who have allergies and asthma since the entire mattress is encased and protected from dust mites and other allergens. One of the most popular types of mattress protectors are the ones that have elasticized wrapping corners that can fit a variety of mattress heights. These are almost a custom fit and have come a long way since the days of flat quilted covers with a strip of elastic at each corner. Some people like or need a waterproof mattress protector (think vinyl cover on a baby bed mattress). Although an old-school vinyl waterproof mattress protector can work well for some mattresses, a mattress protector for a memory foam mattress needs to be breathable. Does this mean those with a memory foam mattress can’t have a waterproof mattress protector? Fortunately that is no longer the case. There are breathable waterproof mattress covers now available for those who want breathable waterproof protection for their memory foam mattress. At Healthy Foundations, we have a favorite mattress protector and we offer it on our website. It is the Protect-A-Bed Premium Mattress Protector. It is breathable, hypoallergenic, AND waterproof. It provides the breathable requirement that memory foam needs, along with the waterproof and hypoallergenic qualities that people want. And it doesn’t even have that crinkly vinyl baby bed feel! At Healthy Foundations, we want you to learn all you can about memory foam, including how to care for it. To learn more about memory foam, check out our Memory Foam Mattress Buyer’s Guide. 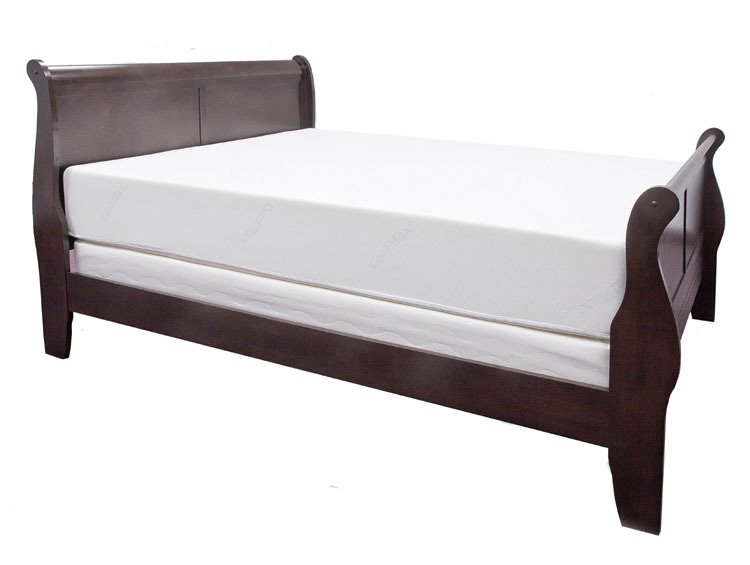 Next Next post: Memory Foam Mattresses: Forget the “Sleeps Hot” Issue!